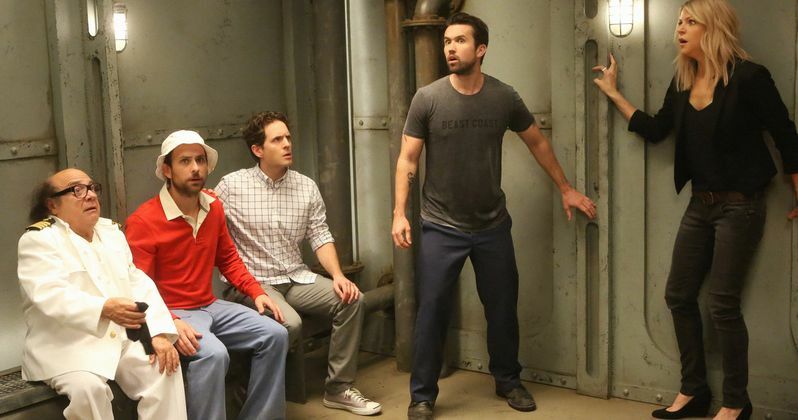 It's Always Sunny in Philadelphia has been renewed for seasons 13 and 14 on FXX, it was announced today by Nick Grad and Eric Schrier, Presidents of Original Programming for FX Networks and FX Productions. With Season 14, Sunny will tie The Adventures of Ozzie & Harriet as the longest-running live-action comedy series in television history. The previously-announced season 12 will premiere in early 2017. Here's what FX's Nick Grad had to say in a statement. "If anyone doubts the power of a camcorder and a dream, just look at It's Always Sunny in Philadelphia, which was a DIY backyard pilot when Rob (McElhenney), Charlie (Day) and Glenn (Howerton) brought it to FX and will go down in TV history as one of the most loved and enduring comedies. Few shows make it this far or have such devoted fans, and we owe it all to the creative vision and great humor of the creators and cast who keep Sunny fresh and inventive every season." The recently concluded 11th season of It's Always Sunny in Philadelphia is the #1 scripted comedy on basic and pay cable in Adults 18-49 and Adults 18-34 in CY2016. In addition, season 11 delivered the series' best ratings yet on FXX, including a double-digit gain in Total Viewers. On a Live+7 basis, average ratings for season 11 increased +8% for Adults 18-49 (1.1 million) and +13% for Total Viewers (1.4 million). Since its debut on FXX in 2013, It's Always Sunny in Philadelphia has increased its average viewership among Adults 18-49 by +17% and among Total Viewers by +24%. FX will celebrate It's Always Sunny in Philadelphia on April 1 at a special PaleyLive event at the Paley Center located at 465 North Beverly Drive in Beverly Hills. The program, which will begin at 7 PM PT, will feature a panel discussion with the cast and creative team. It's Always Sunny in Philadelphia follows the misguided dreams and blundered schemes of everyone's favorite bar owners - The Gang at Paddy's Pub - Mac (Rob McElhenney), Dennis (Glenn Howerton), Charlie (Charlie Day), Dee (Kaitlin Olson) and Frank (Danny DeVito). It's Always Sunny in Philadelphia was created by Rob McElhenney. He also serves as executive producer along with Glenn Howerton, Charlie Day, Michael Rotenberg, Nick Frenkel, Thomas Lofaro, Scott Marder and David Hornsby. The show is produced by FX Productions.